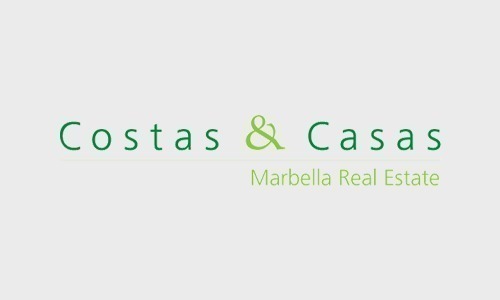 For Sale: Huge Plot Ready for Development in Puerto Banús Marbella Investment opportunity! 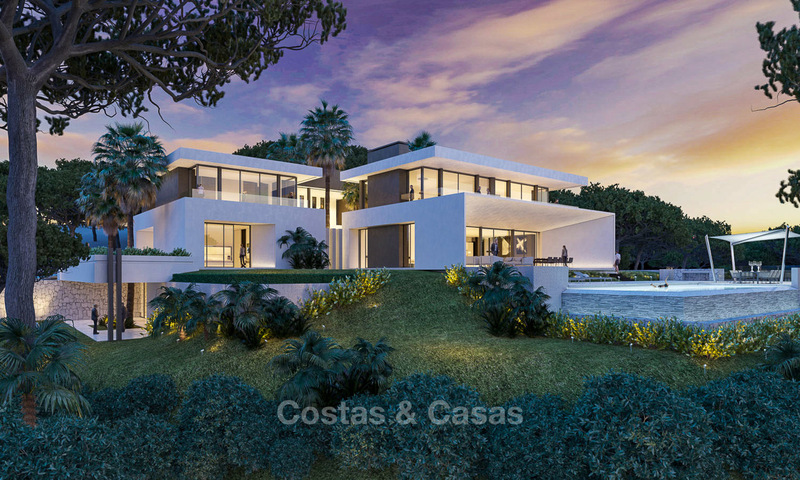 Forget about the villa for now: This is about its amazing setting and location: All of 4,000m2 – almost an acre – but a few paces from a trendy beach and within easy strolling distance of lively Puerto Banús. 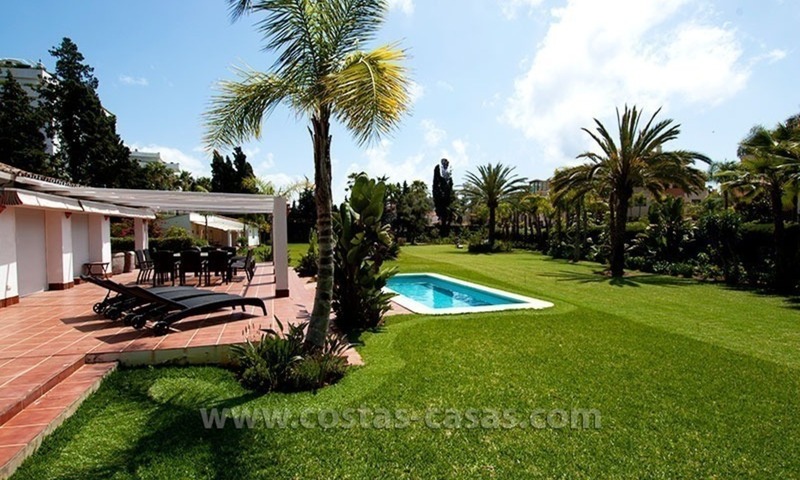 This huge and fully fenced plot contains beautifully manicured gardens and extensive lawns. A better location is hard to imagine. Municipal permits are available to develop a residential community. Privileged, exclusive location with panoramic sea views. Close to several prime golf courses. Large plots and built surfaces. 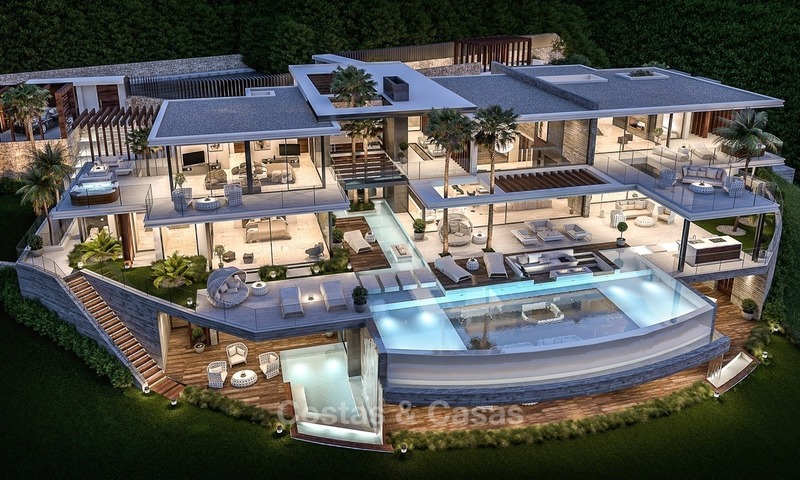 8 exclusive contemporary style villas, each with unique features, detailing and layout. 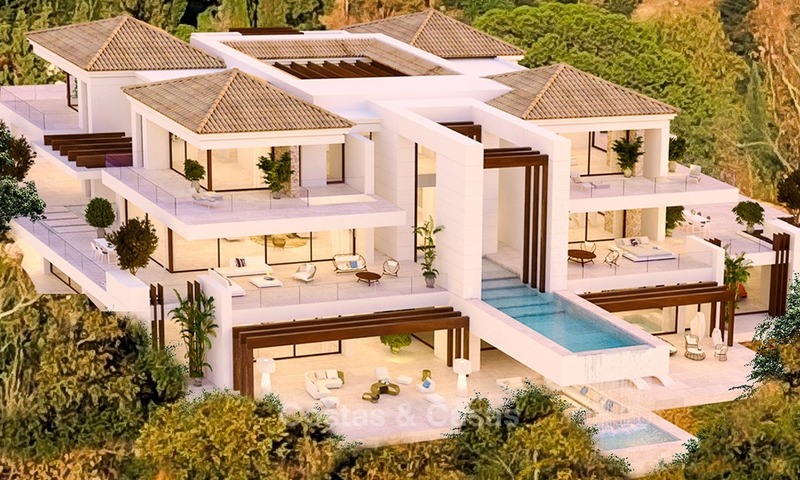 Spacious and Stylish Newly-Built Villa for Sale in Marbella Design by an architect of considerable renown and to be erected by an experienced contractor, this villa ensures your peace of mind both before and after its delivery. We take care of obtaining all necessary permits and will closely monitor and inspect all work during the construction phase on your behalf. 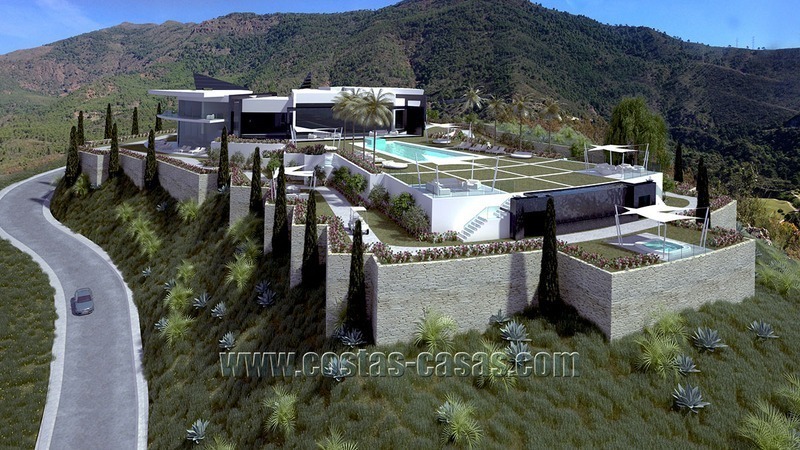 This villa stands testimony to the turnkey concept. 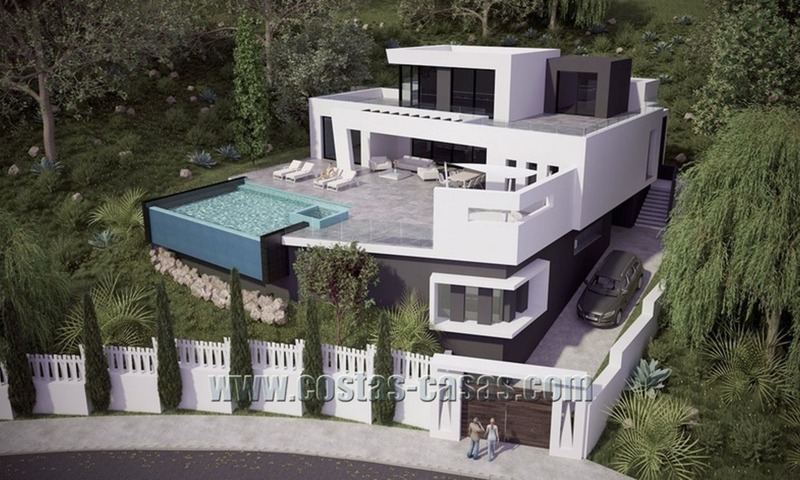 As principal of this project, you have no other worries than the selection of the furnishings and the stocking of the fridge. 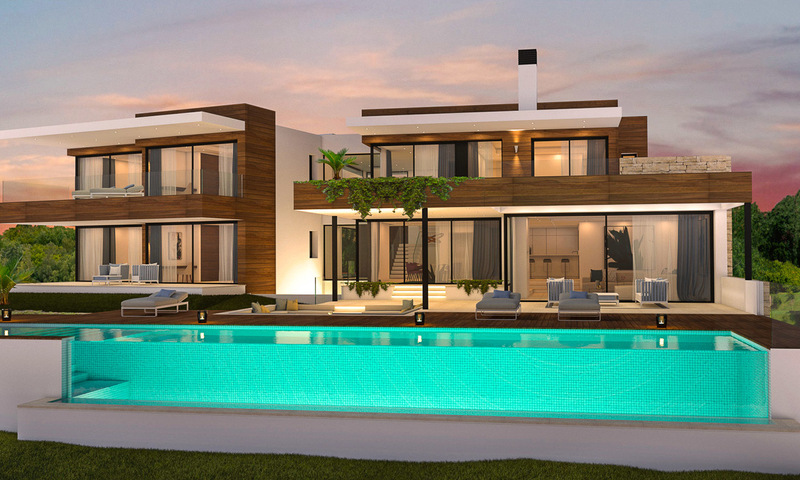 Luxury, contemporary villa. 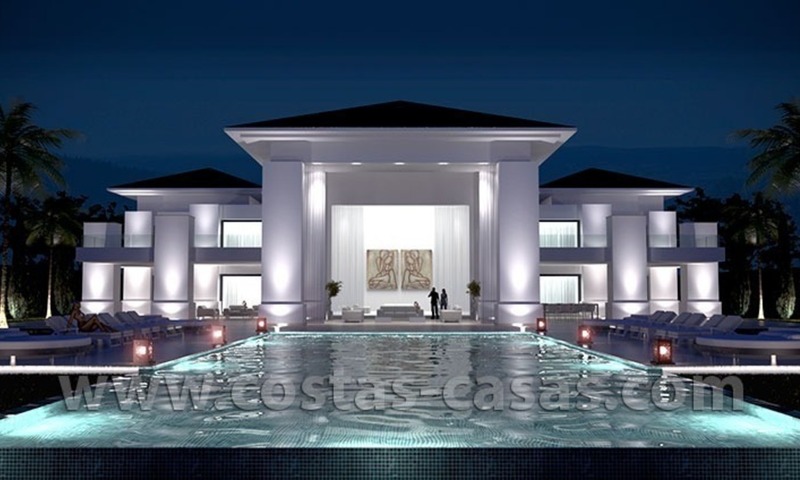 Double height entrance hall. 5 en-suite bedrooms. Guest apartment. Outdoor heated two side overflowing infinity pool. Completion expected by May 2019.